This week: two buys and two sells at the tight end position. The tight end position was a wasteland for fantasy points in 2017 as Travis Kelce (32) and Rob Gronkowski (36) were the only two to finish inside the top 50 in PPR scoring. Fortunately, a dynasty owner doesn’t need to spend a high startup pick or valuable trade assets to acquire a starting tight end. Of all of the players to finish as a PPR TE1 in 2017, seven of the twelve (57%) had an August 2017 DLF startup ADP over 100 while (33%) were being drafted after the 175th pick late last Summer. 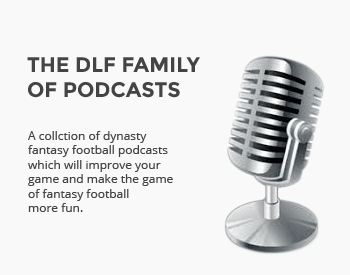 Finding value is as important now more than ever as a growing trend in the dynasty community is the tight end premium league. In this format, owners are either given an extra half PPR point for receptions and/or forced to start two players at the position. Thus, the walls are closing in on those dynasty owners who choose to punt on tight end. 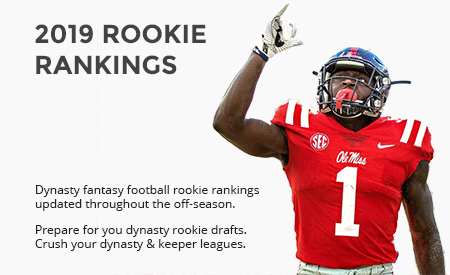 This bi-weekly article series will focus on giving savvy dynasty participants a leg up in identifying both undervalued tight ends you should buy right now and overrated players whom you should sell at their maximum value. All of the trade examples are courtesy of the DLF Trade Finder, but please remember these are just examples. The specific market value of any player will be determined by the competitiveness of your league and the intelligence of the opposing owner in your negotiations. 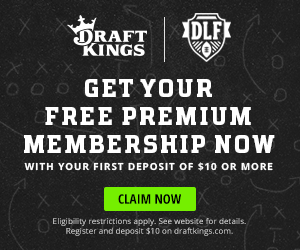 The price to acquire Chris Herndon in the DLF Staff League will more than likely be much different (read: higher) than in your home league with a few inexperienced players. In this week’s edition, I put two more young tight ends on your radar while giving you one last chance to sell two overvalued TE1s. Josh has been playing fantasy football since 1995 when he was 10 years old helping his grandfather. Josh played only in redraft leagues until recently when someone told him dynasty fantasy football could feed his addiction year round. Now he’s hooked! Outside of fantasy football, Josh loves having his heart broken by Cleveland professional sports teams, quenching his thirst for travel with his wife, and taking long walks with his four-legged best friend Roosevelt. Give him a follow on Twitter @joshbrickner. Would you sell low on Kyle Rudolph? Or do you think he has future upside with Cousins? Alexander, thanks for reading! I’m stuck with Rudolph on a handful of dynasty squads as well and I’m trying to include him in a package with a hyped WR (Tyrell Williams in this case) for a younger, upside TE like Njoku. Still haven’t had any success but I’m not going to just give him away. My advice would be to only make a deal which makes sense for your dynasty roster. Capt, thanks for reading! I actually like Njoku much better than Ebron both this season and long term. The Browns D has been ravaged by injuries and they will be behind forcing them to throw pretty much every game. John, first and foremost thanks for reading! 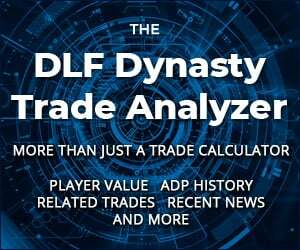 I take all those trade examples from the DLF Trade Finder which is a great tool. I would assume that league has extremely deep rosters and the draft includes all available, non-rookies but I can’t say definitively. Yeah, I use the tool, fortunately for my dynasty roster it only recommends trading for a kicker, which is a good sign. I’ve made some terrible choices at TE, drafted both Gronkowski(thought he’d be the TE god again) & Kelce(then changed my mind on him, because I believed his success was tied to Alex Smith), so I sold Kelce for Hunter Henry and Geronimo Allison. Ended up trading Gronk for Guice a 1st and a 2nd. Leaving me with no TE, streamed for a bit, then acquired Kyle Rudolph & a 2nd for Nyheim Hines. And have since traded Kyle Rudolph for Dallas Goedert. So my 2 questions are: Did I make the right choice in trading Rudolph for Goedert, and why am I cursed at TE? I’m not a Rudolph fan, too many mouths to feed, so I don’t mind getting rid of him. Goedert looks the part, but will opportunity be there? Probably a lateral move at the moment, but Goedert has the advantage of age. I mainly wanted to chime in and say you did a great job trading Gronk for Guice, a 1st AND a 2nd. Great long term move. Eric, thanks for reading! I agree with Ryan in you’ve made some great moves. The values of both Rudolph & Gronk are trending downward and you’ve gotten some great assets back in return!